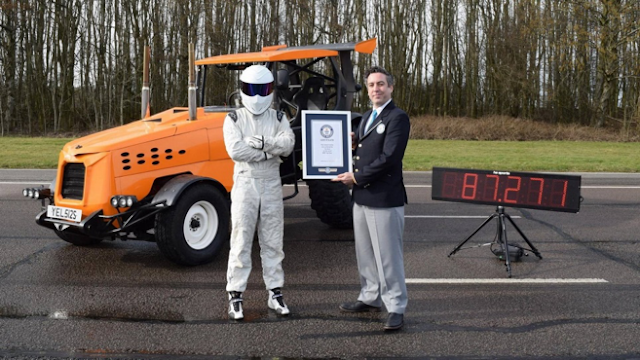 The Stig Sets Guinness World Record For Fastest..Tractor! 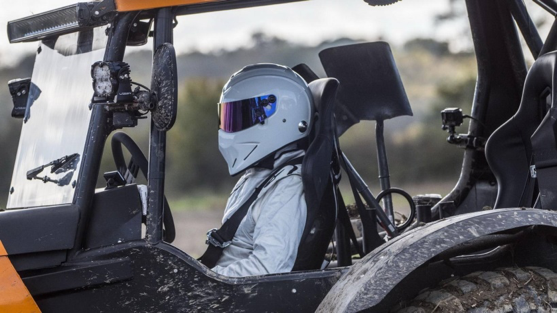 Top Gear’s masked mascot, The Stig, has smashed a speed record…for a tractor! Yea, a tractor! All in a day’s work for The Stig. 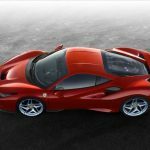 By the way, this ‘Track-tor’ (as it’s called) features a 5.7-litre small-block Chevy V-8 engine with four-wheel disc brakes, adjustable air suspension, and massive 54-inch tyres. You want horsepower numbers? Well, it cranks out 500 bhp. It also borrows LED lights from the Ariel Atom and the exterior color apes a Lamborghini orange. The previous record holder set a top speed of 80.87mph (130kph) in 2015 in Vuojarvi, Finland. 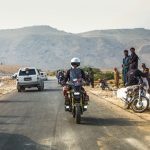 Multiple World Rally Champion, Juha Kankkunen, was behind the wheel at that time, and now that has been broken by Stig’s 87.2 mph (140kph) run.